Employees at Roambee in Santa Clara came to work the other morning, only to discover a 3D printer, two large 4K monitors and two boxes missing. SANTA CLARA, Calif. (KGO) -- Employees at Roambee in Santa Clara came to work the other morning, only to discover a 3D printer, two large 4K monitors and two boxes missing. Left behind was a partly consumed bottle of beer from the break room and a discarded tissue with blood stains after one of the burglars apparently cut his finger while jimmying open the door. The suspects were arrested and the stolen goods recovered just eight hours later. How so? 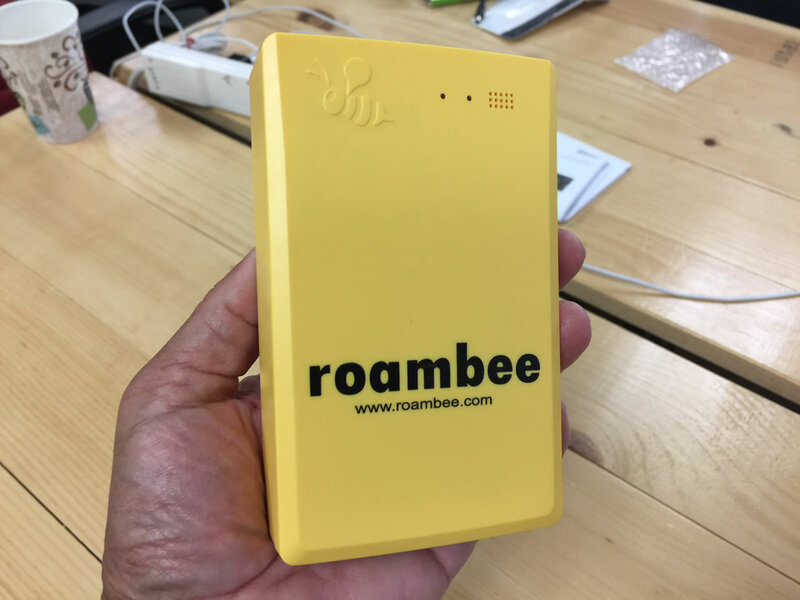 The two boxes contained the company's namesake technology device, the Roambee Tracker. It's used by clients to track their goods during shipment for signs. The staff at Roambee was able to track the thieves and the stolen goods as it traveled from Santa Clara to a house in San Jose, to a warehouse in Union City and then to a house in Alameda. This undated image shows a Roambee device on Wednesday, June 7, 2017 in Santa Clara, Calif.
Police discovered stolen goods at the warehouse taken during other break-in's, including photographs and clippings from World War II passed down from a veteran to his son. Vidya Subramanian, Roambee co-founder, explained how they captured data as the thieves, a man and a woman, moved from one location to another in the East Bay. The wireless device can pin down the location within 50 to 60 feet, sending a signal as often as every 60 seconds. That enabled Santa Clara detectives to obtain a search warrant and to arrest the suspects. Police are not releasing the suspects' names or booking photos as they continue to link them to other crimes.